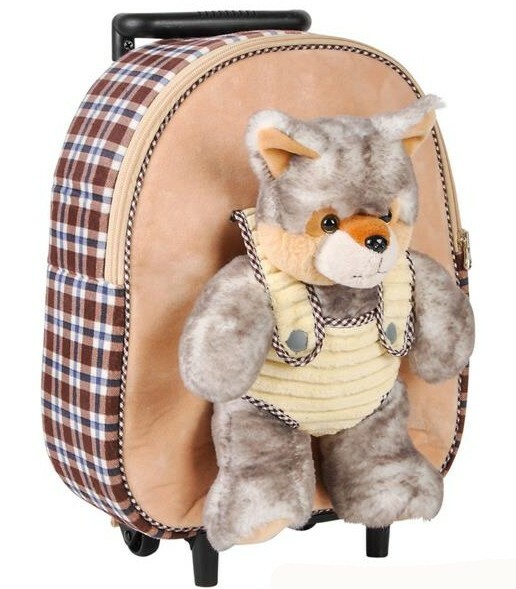 The Wolf Travel Bag is perfect for the young traveler who loves Wolves. The handle could be pulled up and locked down. The plush Wolf is detachable. Makes a really darling Wolf gift.